DMossEsq: "We transformed digital delivery for the UK government"
"We transformed digital delivery for the UK government"
Public Digital Ltd was incorporated on 12 October 2015. It has £4 of share capital, nil paid-up, and a Twitter account with one follower. "... we use our ‘inside government’ experience of to advise and support governments and international institutions on practical strategies for enduring change" – that's what it says on Slide #3 of the presentation, followed by "we have ... worked on IT enabled transformation with over 30 governments, across five continents". There are eight reasons why government IT projects fail, #2 is "lack of focus on understanding and segmenting user needs", according to Slide #5, and #4 is "lack of effective engagement with stakeholders". Then Slide #6 comes up with a ninth reason: "IT projects fail because there is no such thing as an IT project … there are only IT-enabled business change projects". Do Messrs Bracken et al really hope that this presentation will make governments believe that public.digital can help and cause them to get in touch, contact@public.digital? Because it's not their presentation. The quotations above come from a July 2006 presentation given by gov³™, government for the third millennium™. Since you ask, "Gov3 is THE global strategic consultancy for governments ... launched in September 2004 by the core team in the UK’s Office of the eEnvoy". 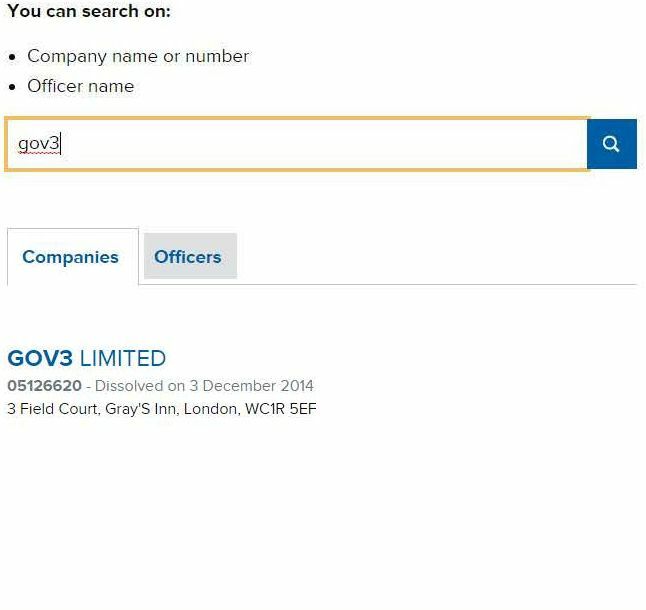 Gov3 Ltd, company no. 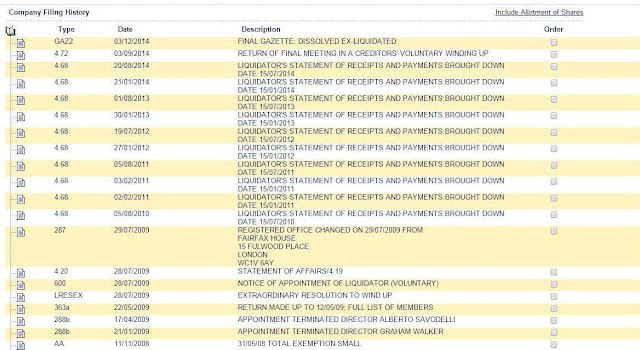 05126620, was wound up on 28 July 2009, a liquidator was appointed and its dissolution was finally gazetted a year and a day ago on 3 December 2014. You can find all the relevant documents on the Companies House website. The old Companies House website. Not the new Companies House website, which has been transformed under the influence of GDS and no longer shows the documents. On the old website, you have to pay £1 for each document. The documents are free now. But there aren't any documents. "We transformed digital delivery for the UK government". That's what it says on the public.digital web page. That's the shoutline. public.digital offers consultancy in leadership, strategy, transformation and design. One of the £4 company's four shareholders is Tom Loosemore. What can his fellow shareholders make of Mr Loosemore's hand-brake turn? How do the staff left behind at the Government Digital Service (GDS) feel about this revelation by their sometime leader? 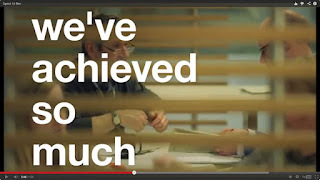 What is the correct response for all the UK ministers and officials who have been lured in the past into effusive endorsements of GDS's putative transformational successes? Will a lot of journalists have to publish/broadcast retractions of their earlier pronouncements? It's a quandary for the digital services of other governments the world over who have based their business cases on the shaky platform of GDS's achievements. And what are the prospective clients of public.digital supposed to think? Rocket science. But not as we know it. Thursday 10 December 2015 saw the news from Argentina begin to surface on Twitter. 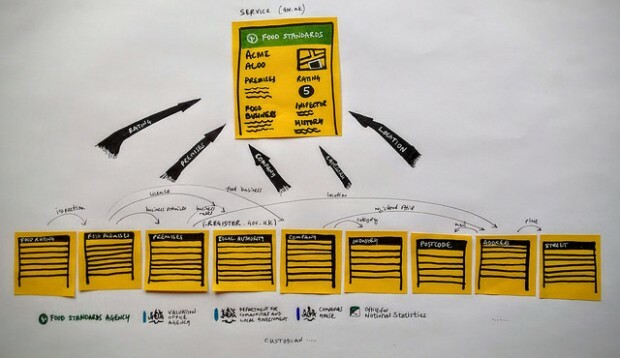 They're starting their own government digital service, modelled on the UK's GDS. Just supposing the Argentinians approached public.digital for a bit of advice, what do you think Messrs Bracken, Loosemore, et al would say? Apart from woooop. Synchronicitously enough, the next day saw an interview with Tom Loosemore published in Computing magazine. The interview includes all his usual aperçus on Victorian London's sewage system. First he told the Americans. Then the Australians. Next the Argentinians? 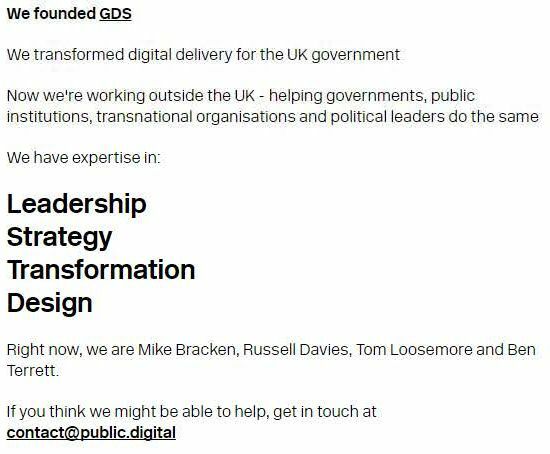 In August GDS director Mike Bracken left the government to join the Co-operative Group, and his erstwhile colleagues Russell Davies, Ben Terett and Tom Loosemore soon followed. Loosemore cites slow progress and the bureaucracy described above as being behind this decision. Would public.digital advise Argentina to form a co-operative? Maybe. That leaves just one option – expect the announcement of the Argentinian space programme any day now. In late 90s I tried to educate parliament about risks of database state. I thought some fellow campaigners mildly paranoid. I was so wrong. Awfully good of him, of course, to try to "educate parliament". Perhaps the UK parliament really was too ignorant to understand the dangers of the "database state". That seems unlikely but it's irrelevant anyway as public.digital aren't marketing in the UK, only abroad. What they're looking for is ignorant overseas governments. If you are an overseas government, the question is do you want to govern a database state or not? If you don't then, judging by the tweet above, Tom Loosemore is your man. Him and public.digital. They clearly wouldn't advise Estonia, for example. But it's more complicated than that. Take a look at the picture below. 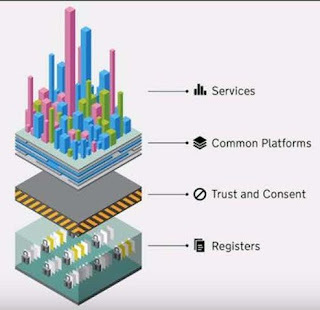 What is it, if not the very picture of the "database state"? That layer at the bottom, the Registers layer, is what Mr Loosemore himself calls the "single source of truth". It's his picture. His picture of the ideal state, where benevolent decisions are made on the basis of knowing everything about people. "Platform". This is Government as a Platform (GaaP). This is public.digital's premium product. This is what the Victorians would have deployed if only they hadn't got bogged down with sewers. 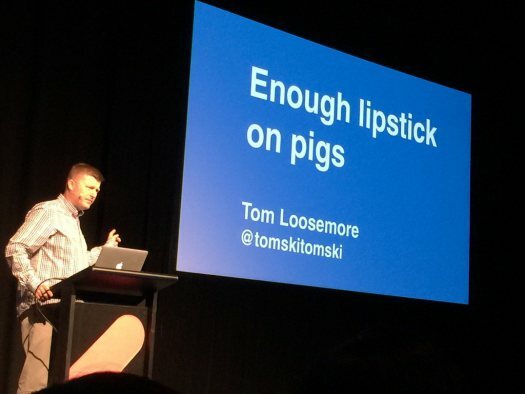 This is what any innovative administration would do if only it was bold enough, you have to be bold, it's a mistake not to be, that's what Mr Loosemore says. To everyone. The Americans. The Australians. Everyone, maybe even Argentina. "Hang on a minute", you may say, "that's unfair, Mr Loosemore insists on a Trust and Consent layer in his picture. Trust and consent are to be enforced by parliament. To object that that wouldn't work is to say you don't believe in democracy". That argument is worth consideration. It's still an argument in favour of the database state. of course. But it's a database state by consent. Consider this. Who would give their consent? Not Mr Loosemore. That's for sure. He had to warn an ignorant parliament in the 1990s about the dangers of the database state. He must think that consent is for other people. Inferior people. That's not very democratic of him. 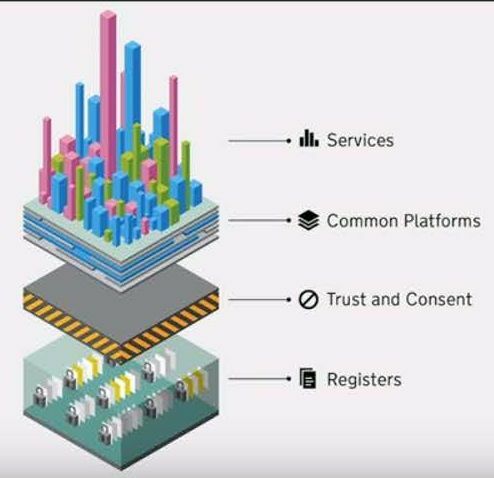 A Registers layer and a Services layer and nothing in between. No Trust and Consent called for and none offered. GDS aren't serious about trust and consent. All they can see is a state that knows better what you need than you do. Which is why there's no need for trust and consent. For the rest of us, the database state picture is wrong for another reason. A state that thinks it needs all that knowledge about us is a state that has exceeded its remit. There are places where a democratic state doesn't go. Total knowledge is only sought and required by totalitarian states. Mr Loosemore has a fond but unjustified belief that the database state would lead to "efficiency". Call it what you like but no thank you. "Right now, we are Mike Bracken, Russell Davies, Tom Loosemore and Ben Terrett". That was then. December 2015. A year ago today Russell Davies resigned as a director of Public Digital Ltd according to Companies House. Fair enough. People move on. 18 December 2017, Andrew David Greenway was appointed a director, Merry Christmas Mr Greenway. Mr Greenway is one of the banshees who always seem to be upset by changes at the Government Digital Service (GDS) but can never explain why. "Meanwhile, GDS is following the course charted by other successful centralised reformers in government. Icarus-like soaring for a few years. The occasional flutter of feathers. Then a headlong dive into the timeless, inky depths of the bureaucratic abyss. The sun always rises, Whitehall always wins". That's what Mr Greenway said in August 2016. He was at it again yesterday in Civil Service World magazine, The dismembering of the Government Digital Service is underway. That follows two articles last week by our favourite banshee, Derek du Preez, Exclusive – GDS to lose control of Data Policy, being handed to DCMS and DCMS wants GDS lock, stock and barrel – Manzoni fighting to retain control. Both articles centre on GDS's loss of influence and the attempt by the Department for Digital Culture Media and Sport (DCMS) to supplant them, news to Mr du Preez but noted by DMossEsq last December. The banshees are excoriating about the lack of leadership and direction at GDS and DCMS. Nothing is being delivered by way of digital government. It's all just talk, talk, talk and no action. That's what Messrs du Preez and Greenway both say. But in that case, what is there to bewail in the demise of GDS? Disruption is a good thing according to the revolutionaries who set up GDS and disruption begins at home. If GDS has turned out to be a damp squib, let it sink. The faster the better. That's how a healthy ecosystem deals with its failed adaptations. Messrs du Preez and Greenway must know that. Mr du Preez could say it. Mr Greenway, as a recently appointed director of Public Digital, probably has to be a little more circumspect. The GOV3 documents should be available on the new Companies House website - click on GOV3 Limited, then click on the Filing History tab. Thank you for your comment, Anonymous@12 December 2015 08:47. 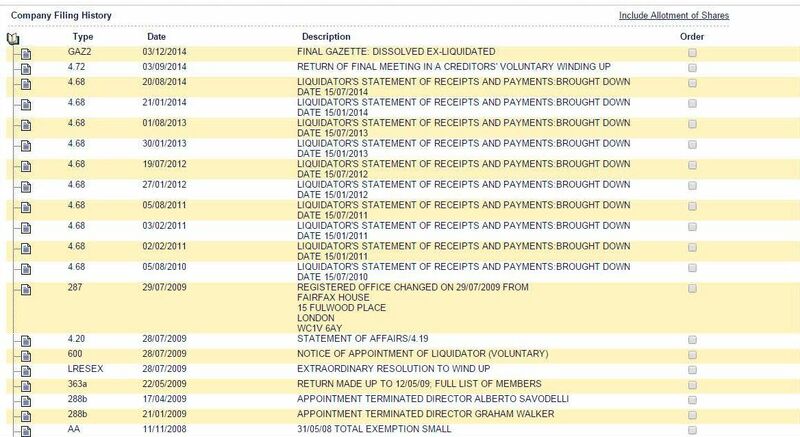 You're right, the new Companies House website does now serve up the dissolution documentation, well done them. Does that mean that Dissolved companies can now move from Planned features to Current features? Or is there still more to do?